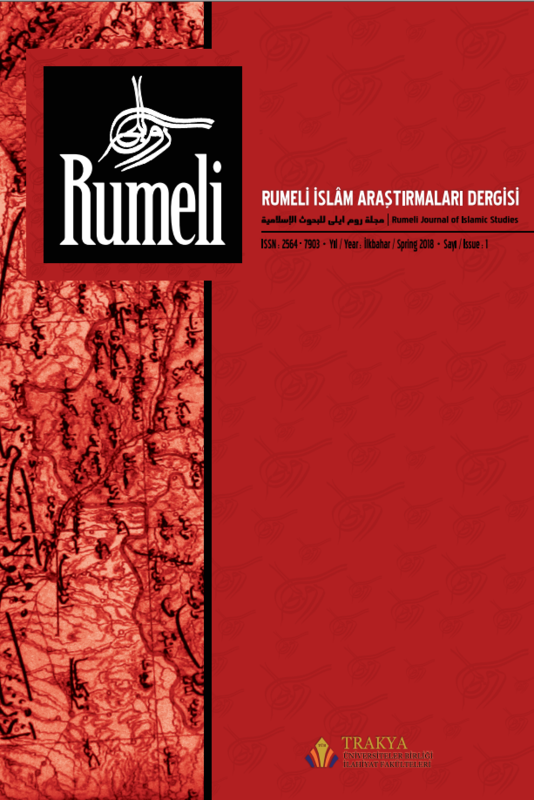 Rumeli İslam is a peer-reviewed Journal published by Trakya University Faculty of Theology twice a year as April and October. The Journal aims to contribute religious, theological, and social studies by publishing original academic works meeting international scientific criteria. The Journal publishes articles in Turkish, English, Arabic and Balkan Languages (as Albanian, Bosnian….). All articles sent to Rumeli İslam are subject to the double-blind peer-review process. Also, all the articles are checked by a plagiarism software (iThenticate) to preclude any academic dishonesty. Moreover, Journal of Islamic Studies does not charge for publications and submissions. History of Ottomans, History of Balkans etc. Not: Recognizes the priority of Balkan studies. Rumeli İslâm Araştırmaları Dergisi / Rumeli Journal of Islamic Studies Creative Commons Alıntı-GayriTicari-Türetilemez 4.0Uluslararası Lisansı ile lisanslanmıştır.